In good times, it’s a joke about how little his nerdy little kiddo had to gripe about. In bad times, it’s a reminder that this is the life we’ve got and we need to make what we can of it, tragedy notwithstanding. We’re worried about friends and family as we face a political administration that has repeatedly promised to harm them. We’re looking for opportunities to help, and if you’ve got any ideas for us we’d love to hear about them. For further-flung charitable operations, there’s a good list here. People are also going around cleaning off the horrific graffiti that’s been popping up around the Valley threatening violence against minority groups, and you can check out the Facebook group that’s been coordinating those efforts here. 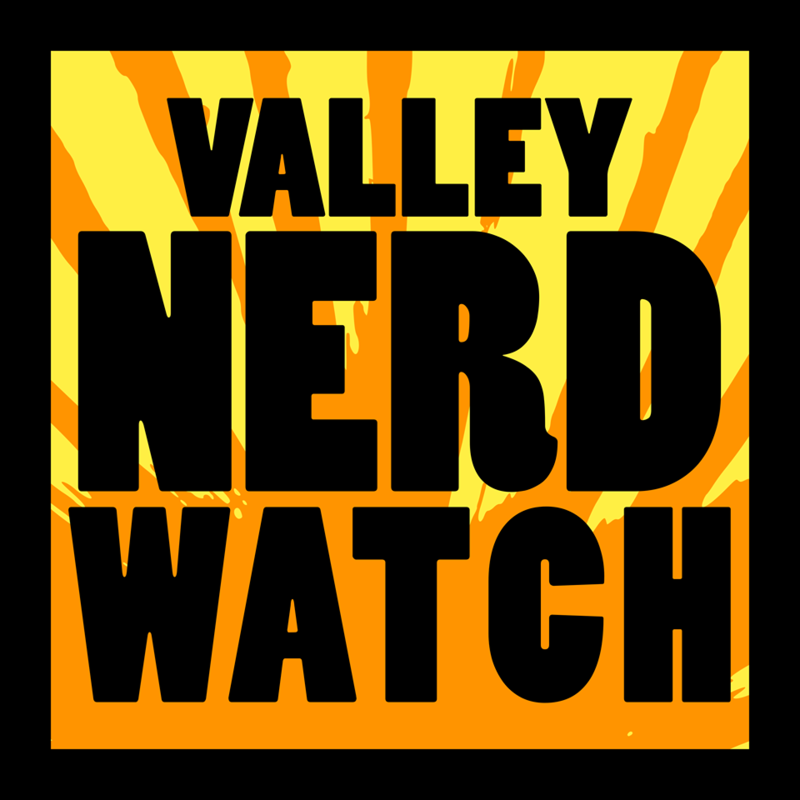 We’re going to be donating 50% of the proceeds of tomorrow’s Nerd Nite NoHo to the ACLU and we’re planning future donations. Justin Dowd of the Brass Cat Games Night has let us know that they’re encouraging folks to bring donations to Tapestry Health to the game night this week. Write with others! Get advice! Get encouragement! Write the best thing! Zines! The underground. Zines! The forbidden. Zines! The mysterious. Zines! The circulation of maybe 3, but hey they’re fun to make so make some Zines and get your thoughts out there! Tiny magazines of your thoughts artisianlly crafted! “Through a grant from Western Mass Recovery Learning Community, I will be publishing a collection of short essays from members of the neurodivergent community. I’m looking for stories that show neurotypicals that we live full, emotionally complex lives. If you are interested, please submit a one page sample of your writing IN THE BODY OF THE EMAIL, NOT AS AN ATTACHMENT. I will NOT consider it if the text is not pasted in the email. Those who get selected to contribute will receive a FREE copy of the final product. ” Email smith.terrencej@gmail.com to participate! A free book in exchange for an essay isn’t bad, even if we’re not fans of spec-work stuff. Play boardgames at Palmer! Meet folks, use demo games from the library, bring your own favorites, be excellent to each other. Join wonderful local hero Justin Dowd in his fun time games place where you’ll learn and play and meet nice people. He’s got all the board games and he brings a new theme every time! Other people also bring games and you can buy great beer and great food from a food truck nearby! It’s one of those games where you gather up production into your hand and try to turn it into various upgrades and victory points and such, but the interesting idea here is that SOME of the resources can be banked permanently like we imagine you know… wood, but some of them have to be used immediately! These games are real fun for us, we like the quick sprint toward the end when you start producing a billion of something you’ve produced 3 of for the past hour. An Envoy will teach you how to play for free! Two amazing poets reading from their poetry collections! You may remember Robert Shaw from being like one of the very few poets we all know about. Not to say poets aren’t great! Poems are wonderful, but Robert Shaw is a name we just know, which isn’t the case with a ton of poets. Anyway the point is, go hear some beautiful poems from great people. Dramatic readings by professional actors, to bring stories to life! Kermit Dunkelberg will be reading “Ed Has His Mind Improved” by Walter R. Brooks, and Myka Plunkett will be reading “Exchange” by Ray Bradbury. “Former 2013 Newbery Committee Member and children’s literature advocate Professor Susannah Richards will highlight dozens of great books including picture books, middle grade novels, nonfiction, graphic novels, and young adult novels. There will be refreshments, free promotional items for teachers, a special discount for purchases and special orders, and a maybe a surprise celebrity from the children’s book world during the event. Bring book loving friends!” This is so nice, books are great and so are refreshments. “Good Night, Dear Hart, Good Night opens with her idealistic, romantic adventures as a wealthy young college graduate; her marriage to Allen and their early trials and tribulations; and how Hart and Joe’s paths cross with Ponzi, whose own rise to power and rapid descent unfolds in alternating chapters. The book offers a fascinating look at a turbulent time in Boston’s history as well as an examination of Ponzi, the inventor of the first ‘get-rich-quick’ scheme that continues to be reinvented.” Always a very important thing to know about! It’s a good idea to keep your head on a swivel when it comes to investments that seem too good to be true. “The New York Times Book Review has stated that PEN/Faulkner award winner Sabina Murray writes historical fiction “…very beautifully, bringing it all close to us, to here, to now.” Her new novel, Valiant Gentlemen, is no different, spanning across four continents and forty years to reimagine the lives and friendships of humanitarian and Easter Rising Irish patriot Roger Casement, his closest friend, Herbert Ward, and Ward’s extraordinary wife, the Argentinean-American heiress, Sarita Sanford.” Sounds awesome! Listen to a reading, buy a copy, get it signed! How did Dickinson want to be recognized and remembered? We may find some answers in Dickinson’s reaction to Thomas W. Higginson’s poem “Decoration.” There are few recorded instances of Dickinson exchanging poetry and commentary with another poet, so it’s a rare opportunity to explore how she read and responded to other’s poetry. Lead by the extremely great Melba Jensen, PhD in English. “Wayne E. Phaneuf, executive editor, Romola M. Rigali, former managing editor both at The Republican will be on hand to sign the newspaper’s newest book in its Heritage Series, On Being Italian: A Story of Food, Family and Faith. The event will feature a special treat for attendees.” Treats are 100% always great so no reason not to check this out! A PPTQ! A qualifier fro the Pro Tour, and the winner will head to the Regional Pro Tour Qualifier for a chance to play in the PRO TOUR in Nashville! It’ll be $30, you’re playing standard constructed with a decklist required, and you’ll get a cash payout if you’re in the top players! Have fun and get to that pro tour! Just guessing this might appeal to a lot of folks this week. Resilience Strategist Rita Schiano presents a lot of skills to help people feel in control of their lives! Make four different desserts to try and then eat those desserts and for real you deserve dessert right now. The library will welcome people experiencing memory difficulties and their families to hang out and have some relaxation and refreshments and generally talk to folks who know how it is to deal with memory problems! We don’t entirely know what’s up with this but it sounds like a very good idea, you should check it out and talk to people and get back to us about what’s up! Solve WordPress problems with friends, bring your laptop to help the group get to the bottom of things! Talk about effective backup solutions, and also learn about interpreting integrated Google Analytics! You should sign up so you can get WordPress questions answered and be a better computerer. NCTV is located at the rear of Northampton HS. they’ll be in NCTV’s studio room! Learn what the internet is! How it works, how to use a search engine, what “the cloud” is, and when to stop learning about the internet so you stay happy! See scrapbooks of news clippings, invitations, searching charts, menus and more of the events hosted by or attended by Calvin and Grace Coolidge 1923-1929. And eat cookies! In this lively panel discussion, Professors Dennis Gildea and Derek Paar of Springfield College, along with Springfield College Archivist Jeff Monseau, will explore the history and spread of basketball from its origins into the twentieth century. Springfield gave this gift to the world and you should not forget it! Western Mass contributes. Build your cares away in the blocky world of Minecraft! Lazers! Shoot your friends with them in the library! Pretend it’s Star Trek and clumsily toss a Styrofoam boulder at someone! Grades 5th – 8th are welcome! Ahhhhh hahaha the poster is Alfred Hitchcock putting an L in the word “Strangers” to make it “Stranglers” old movie posters are awesome. See the movie about a person who thinks he’s got a foolproof plan for murder and the stranger he forces into it! Grad Student Andrea Cataldo will discuss “Quantifying Emotion in the Decision Process”! She’s very smart and great so the talk will be awesome. Then we’ve got Brianne Zulkiewicz who’ll talk about “Triple Deckers: New England’s Working Class Vernacular Architecture”, which is neat because it’s one of those things you sort of notice around here and then when you actually take second you realize how much pragmatic design decisions shaped the landscape you’re in. Jon Caris and Scott Gilman from the Spatial Analysis Lab at Smith College will talk about the making, use, and interpretation of maps! They’ll talk about how historical maps like the “Nolli map” are re-purposed and re-imagined in the digital age! Join Ralph & Steven in this interactive program as they explore their surroundings and cultivate curiosity for the natural world. This November’s meeting will focus on a library mystery to be solved using chemical forensic techniques. Who was the culprit: M&Ms, Skittles, or Kool-Aid? For kids aged 8-11! Give or take a bit you know your own kids, you know? Register online here. Ego Death Presents: Super Smash Tourney! There’s a $5 cover, ladies are free, and it’s welcoming to all ages. It’s been getting bigger and better really quickly! Folks at the events look like they’re having a super good time and you can win prizes so that’s nice. You can also play: Mario Kart, Street Fighter, Marvel Vs. Capcom, and Mortal Kombat. It’s like a pop-up arcade full of friendly people the best idea. NextNerd Nite NoHo now Raising Money for Charity!